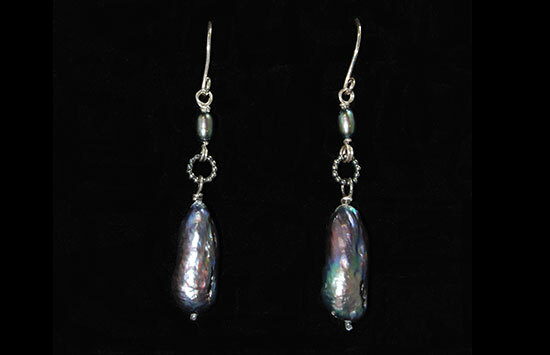 Long drop cone earrings. 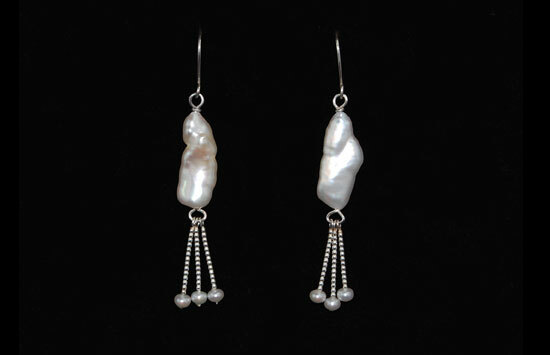 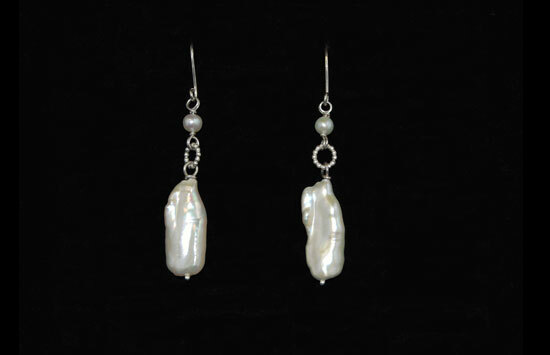 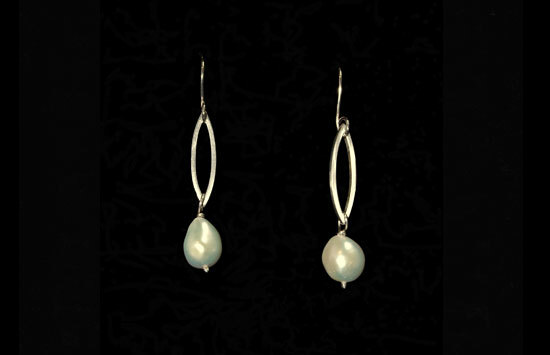 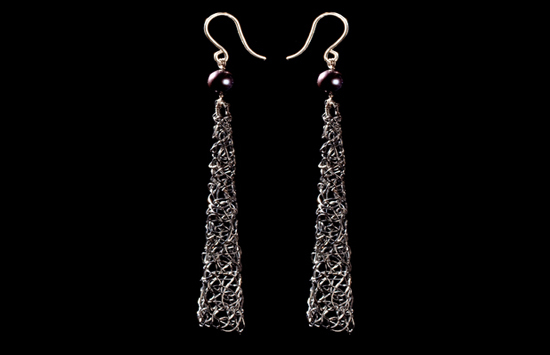 Shown as oxidized with a dark pearl they are also available in a polished finish and with a stud instead of a hook. 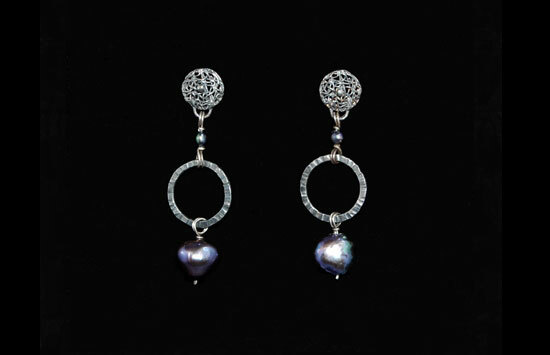 Round dark pearl oxidised stud drop earrings. 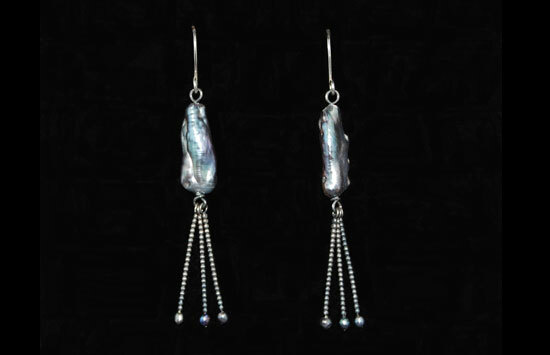 Long dark pearl with beaded fringe of oxidised wire.